BenQ has been on a roll lately. Their W1070 and W1080ST, reviewed earlier this year, are both excellent projectors for home video and gaming. The BenQ W1500 can be thought of as a bulked-up version of the W1070, with a more flexible zoom lens, improved image quality, stereo speakers, and wireless HDMI. That last feature is sure to raise a few eyebrows. Wireless HDMI makes ceiling mounting the W1500 a breeze, since the projector only needs a power cable connection and is otherwise cable-free. While the system has some limitations, it adds value to what is already a feature-packed budget powerhouse. The W1500 has an MSRP of $1,999 but is available for $1,599 from authorized resellers. Just looking at the case, the W1500 looks like a sleek, streamlined version of the W1070. The contrast trim on the top of the projector has been replaced with an all-white panel, while the sliding lens shift door is now a swing-open door with a push latch. The lens shift knob is now larger and easier to turn using just your fingers; the old knob required a screwdriver or a coin for easy adjustment. The W1500 has a longer zoom range than the W1070 as well. Its 1.6:1 lens will produce a 100" diagonal image from 7' 9" to 12' 5" throw distance, while the W1070's 1.3:1 lens will project an image of the same size from 8' 4" to 10' 11". This means the W1500 is capable of projecting a larger image from a closer distance, which is useful for small rooms, or a smaller image from a farther distance, which can be helpful for ceiling mounts far from the screen. The W1500 produces over 1700 lumens in Cinema mode with the lamp at full power. Strictly going by the numbers, that's enough to light up a 180" diagonal 1.3 gain screen at 24 foot Lamberts, well above the recommended 16 fL. Realistically, few people will want to use such a massive screen even if they could fit it inside their house, which is where Eco mode comes in. Eco reduces light output by 37%, making for a much more reasonable picture that is still plenty bright enough for big-screen use. Since Eco mode boosts estimated lamp life by 40%, most folks will want to opt for that setting. The projector's extra brightness can come in handy when watching 3D. Hooked up to a Blu-ray player, the W1500 produces an image that is clean and sharp, with sparkling highlights and deep, dark shadows. Color saturation is excellent thanks to the projector's 6X speed, six-segment RGBRGB color wheel -- and with no white segment, color brightness and white brightness are perfectly balanced, producing an image that appears natural and life-like. (Click here for more on ANSI lumens vs Color Light Output). The W1500 has full HD 3D capabilities, and can accept any of the standard HDMI 1.4 3D signal types. It also reportedly has limited support for frame-sequential 3D, though we did not have the opportunity to test this feature during our review. The W1500 uses DLP Link for synchronization, and it requires faster 144Hz glasses (not included). 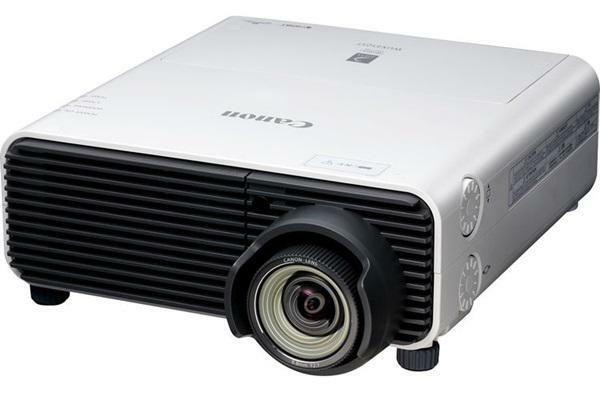 Can you comment how this projector compares to the W1070 and other projectors in the under 2k price category? Thanks for the review. I have one very important question (to me) for the reviewer, though. Does the W1500 support frame interpolation in 3D? I have been reading conflicting reports on that. And in case you have checked out other projectors, how good is the frame interpolation compared to other models, for instance the Acer 9500/9501? Please, could you elaborate on that? Thanks! I was wondering if you might be able to comment on the quality of picture on the 1070 vs 1500? If you dont need fi and wireless signal is it worth it? And this seems to be at the same price range as the 7000 is the 7000 a better buy in your opinion? I echo Garratt's question. In your opinion, is the W1500 worth the extra $600 when compared to the W1070? Especially if you don't need Frame Interpolation or Wireless HDMI? We fully intend to do a proper shootout between the W1500 and some other projectors. However, since the 2013 CEDIA expo is right around the corner, we have postponed the article until we see what else is coming out this year that may be relevant to the comparison. As for the W1070, we were unable to do a direct shootout because we had to send our W1070 back to the vendor. They are, however, sending another sample of that projector so we can do a direct shootout of the W1070 vs. W1500 soon. Can I Buy it in Vietnam? Is this a replacement for the W7000? Also have you checked out the Oppo 103D? It sounds interesting. Hi, I would like to know which Matt (White or Grey screen)of screen is better for W1500? Please comments. Thanks! This projector has an issue with Blu Ray 3D when using Frame Interpolation. Only half of the screen is smooth which is sad because FI is great when watching 3D which gives it more of a smooth realistic image. You can see image tearing down the center half of the screen when fast moving horizontal panning with or without the glasses. Don't know if the issue is just with a few or all of these BENQ W1500 models, but do hope they can get this resolved and notify customers when it is. Ruled out player, HDMI, disc, glasses, wireless, the issue was still there. Does anyone see this issue ? I recently purchased the W1500. In 2D it is hands down superb. Bright, clean, sharp imaging. Wonderful! However, I have consistently experienced some 'unusual' issues with 3D Blu Rays. I use a PS3 for Blu Ray playback. When I insert and begin playing a 3D disk, the projector switches to 3D and runs through a 'test' mode before the disks menu appears. This takes several seconds but is normal. The issue that arises though is that when I proceed to play the movie itself, the resulting 3D playback has some significant depth of field issues that frankly make it horrible and pretty much impossible to watch. The eye is extremely confused by what is being projected. It has nothing to do with the 'invert' option (I have tested this option several times in the projectors 3D menu) as there is some sense of correctness about the image, but it is barely watchable due to the above mentioned depth issues. The only way I have found to correct the issues is that while the actual 3D movie is playing, I must switch the projector off (which takes a minute or 2 while it cools) then switch it back on while the ACTUAL movie is paying, at which point the projector runs through it's test mode again. The resulting 3D image is now correct and perfectly watchable. I have tested with several disks and 2 separate 3D glasses (one of which is the Benq glasses that came with the projector) and the problem is consistent. 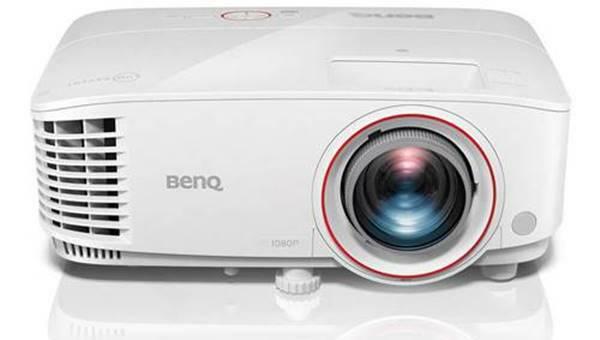 I am in the process of contacting Benq to see if they have a resolve for this, but wondered if others had experienced the same problems as 3D issues are commonly reported in other reviews for this projector. I want basically a home theater to watch movies and sports, you have a very good image in 1080. I've thought a Benq W1500 or the LG PF85U. What do you recommend, or have a better suggestion. I can confirm two 3D issues on fw 1.02 and now still on 1.03 1) (same as ROBERT MCBEE) Tearing during camera panning or fast movement when the FI is on. (can be solved almost always by turning it off and back on) 2) (same as John) Unnatural and aerie 3D when the movie is played in real speed (not noticable when paused or played frame by frame). Can be solved after a couple of switching the 3D betwen OFF-AUTO-FRAME PACKED back and forth while the movie is running. That usually helps and not needed to quit playback.